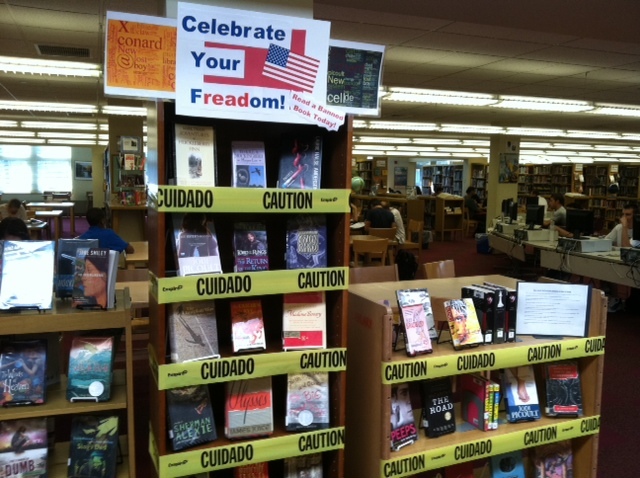 Celebrate Your Freadom, Read a Banned Book Today! I love this part of the year, so many of the kids kept asking me why we were cautioning them from reading these books! 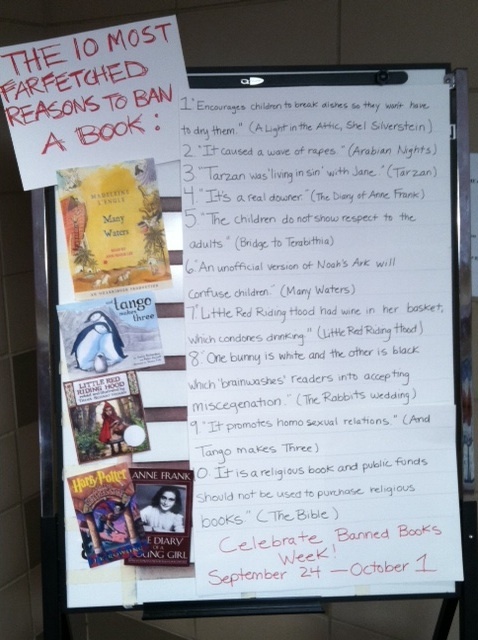 It gave me the opportunity to explain Banned Books Week and what it represents for the community. 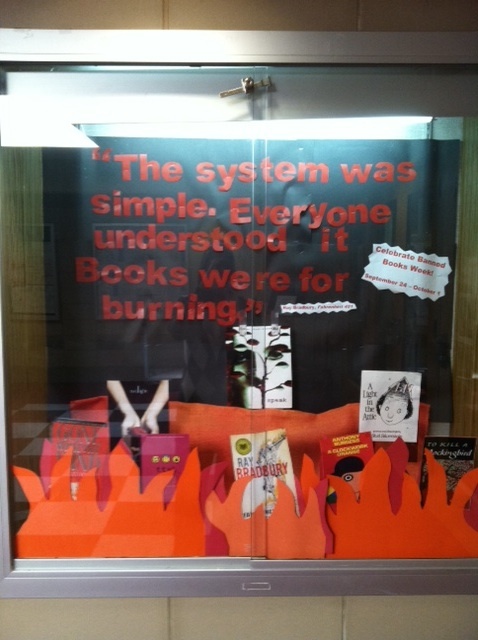 This entry was posted in Miscellaneous and tagged banned books, Library displays. Bookmark the permalink.